The French original version of this article was published on 24 November 2015 in Le Monde Afrique. The first lines of this text were written on Friday, November 20 at the Bamako airport, on a flight back to Dakar. When the hostage crisis at the Radisson Blu hotel in the Malian capital was not yet resolved and the death toll of this umpteenth tragedy was still unknown. It will be 22 dead, including two terrorists. Friends and relatives tried to get in touch with me to make sure I was not in the wrong place at the wrong time. I could have been at Radisson Blu that very morning for an appointment or for any other reason. I went there the afternoon before. A week earlier, on Friday, November 13, when news of Paris attacks broke out, my first reaction was to think of some of my relatives and friends who live in Paris and send some text messages to make sure they did not go out that night. Probably many of us in our African cities, far from Paris, were scared for few hours by the possibility that one of our relatives might have been in the wrong place at the wrong time. Each of the 130 victims of the Paris attacks had dozens of relatives. The same goes for the victims of the Bamako attack, and for each of the 224 victims of the attack against a Russian airliner in Egypt. These relatives will probably never find a convincing explanation for their personal tragedy. Compassion and media coverage vary in scale depending on whether or not the targets of terrorist attacks are Western. This translates into minutes of respectful silence around the world in memory of the victims of Paris attacks and brief mentions of victims of similar attacks in Lebanon, Nigeria, Kenya, Syria, or Pakistan. Remembering what these tragedies truly mean for ordinary people is necessary to quickly get past the debate on this issue. In African cities and in the virtual world of social networks, public opinion fluctuated between empathy for the French people – fostered by the continuous updates on the most popular international media in the continent – and the virulent denunciation of the double standards used to assess human tragedies as they affect Western countries or others. When we fundamentally believe in the principle of equality of all human lives, we should be able to respect the memory of all victims of human folly, regardless of whether they died in a concert hall in Paris or in a small market of Yola somewhere in Northeastern Nigeria. However, empathy and shared sympathy shouldn’t lead one to heedlessly partake in an all-out war against terrorism. When we fundamentally believe in the principle of equality of all human lives, we should be able to respect the memory of all victims of human folly, regardless of whether they died in a concert hall in Paris or in a small market in Northeastern Nigeria. The Paris attacks occurred only three days after the second edition of the Dakar Forum on Peace and Security in Africa, which focused on “Challenges of Terrorism in Africa”. Largely inspired and organized by the French government, in particular the Ministry of Defense, this major event was an opportunity for all stakeholders to assert that no country was safe from terrorism and that the response to terrorism must be global. In Dakar, we extensively talked about religious radicalization, illegal financing of terrorist groups, regional cooperation in the Sahel and beyond, the needs of the armed forces in the region, and what the key partners in security (France, United States, and Europe) could bring to African countries. Is terrorism the number one common enemy? I was one of the guests at the forum who felt that this focus on terrorism in Africa – with meetings, summits, workshops – was turning into a dangerous obsession carrying the risk of distracting the scarce human resources of our region from top priorities that include, but are not limited to the fight against terrorism. Aren’t the Paris attacks, followed a week later by the assault in Bamako, a fatal demonstration that terrorism is indeed the number one common enemy, and that the fight against this plague must be an absolute priority for France, Europe, United States, and Africa? Is it time to accept without further reflection that we need a global response against the global issue of terrorism? No, it is too early to stop thinking independently and blindly join a response that will be global in name only. The response that has taken shape following Paris attacks comprises a range of measures to strengthen homeland security in France and Europe, and an intensification of the war against the “Islamic State” in Syria and Iraq. This response is that of the major military powers of the world; it cannot thus claim to be global. Let us be clear. French authorities have plausible reasons to take all necessary measures to better protect their citizens, their economy under stress, and to protect themselves from a tough political sanction. This is also the case for Belgium and other European countries. As a longstanding structured state with substantial human, financial, and technical resources, with an extensive diplomatic network and military bases in Africa and the Middle East, France knows how to thwart most attacks aimed at its territory. It will probably be even more effective at this deterrence with the enforcement of new security measures. But France, other European countries, and the United States cannot avoid all attacks planned against them by their terrorist enemies. It is very likely that planned attacks will happen during the next few years and these powerful countries will recover each time, without counting tens of thousands of their citizens as victims. The most paramount factor in the severity of insecurity around the world is not the intensity of rivalries between social groups for power, but the innumerable devastating means of violence at their disposal. Terrorist attacks – which disintegrate states and societies by inflaming clan, tribal, and religious rivalries in the Middle East, Afghanistan and Pakistan – destroy the prospect for survival and the lives of millions of people. In these regions of the world the “war against terrorism” masterminded by the great powers led to long military interventions and circumstantial political alliances with dubious local actors who were inundated with weapons over the course of years. The most paramount factor in the severity of insecurity around the world is not the intensity of rivalries between social groups for power, but the innumerable devastating means of violence at their disposal. It seems like no one wants to start a serious debate on the culpability of Western and other great powers in fueling internal conflicts. Nobody seems to question the responsibility of political actors, and the actors of the arms industry and the business of insecurity who, like those in the United States, refuse to take measures to reduce violence in their own country, even if it means young crazed killers shooting at students on campuses every two months. This is the same cynicism that projects the means of destructive folly in all areas of the world – where global and regional military and financial powers compete directly or indirectly. Make no mistake. In Africa, terrorism is a reality, and a serious threat to peace and human security. It is embodied by groups known in each of the regions of the continent: al Shabab in Somalia, Kenya, and in all the countries in the Horn of Africa and East Africa; Boko Haram in Nigeria and in the countries of the Lake Chad basin; Al-Qaida in the Islamic Maghreb, and its new semi-autonomous offshoots in Mali and the Sahel. There are also armed groups that proliferate in Libya and the rest of North Africa, claiming to be the armed wings of either Al-Qaida or of the “Islamic State”. In terms of death toll, Boko Haram and al Shabab are among the world’s most deadly terrorist groups. Africa is definitely concerned with the fight against terrorism. However, in Africa and elsewhere, terrorism is a mode of operation used by groups that are also political, economic, and social actors pursuing their goals in a specific context. Contemptuously reducing terrorists to the repulsive means of violence they use can lead to biased analyses and inadequate responses. The fight against terrorism should take place through the identification of all stakeholders of insecurity in each of the regions of Africa. Those who resort to terrorist acts, and those who are objective accomplices by taking advantage of incomes generated by insecurity or by creating the political, economic, and social conditions that allow the perpetration of violence to continue. The fight against terrorism should take place through the identification of all stakeholders of insecurity in each of the regions of Africa. African countries should certainly strengthen the capacities of their security systems and of all institutions that should be involved in countering terrorist attacks. We must also urgently stop the lax attitude of security agents and citizens, which no longer matches the level of the threat of terrorist attacks in many African cities. But this fight against terrorism will only make sense if it totally changes the way States are managed and how they work on a daily basis. It will only make sense if it provides an opportunity to expose the intricate internal and external factors that have been at the base of the diversification of the forms of violence used in the continent over the past twenty years, adding terrorism by self-proclaimed armed Jihadists to the pre-existing forms of violence. In addition to the responses rooted in the understanding of specific local and regional contexts, the world and Africa do need a global response to the major vectors of insecurity. These responses should include a strengthening of cooperation between security and intelligence services at the international level as an answer to the mobility of actors of violence. However, it should not be limited to that. The articulation of the global response should involve raising an essential question about the unrestricted globalization process and its consequences. Indeed, globalization has magnified in an unprecedented way the use of money and force to pursue the particular interests of the powerful state and non-state actors everywhere in a world. In addition to the pre-existing inevitable disorders caused by the conflicting interests of the great and medium powers, globalization came with new disorders exported by actors of all backgrounds driven by greed and sometimes by ideology. When Emirates with petrodollars, multinational corporations, groups, and even extremely wealthy individuals can invest their money anywhere in the world with little or no oversight, it becomes very easy to change the political, military, economic, social, and even religious dynamics in poor countries with loosely structured governments who are still facing the challenge of effective nation-building. Like poor regions of the world, Africa has become the receptacle of all means of violence, weapons, expertise, and extremist ideologies massively exported by cynical actors from all backgrounds who are not concerned about the consequences of their actions. Globalization – which comes with a variety of electronic gadgets that give us the illusion that we live in the same space – singularly complicates our analysis and blurs responsibility. Even though wealthy and organized countries cannot thwart all terrorist attacks, they are not exposed to the threat of disintegration of their states and societies. Many countries in the Middle East are already experiencing this. One must be very optimistic to believe that Syria, Iraq or even Libya in North Africa can attain a sustainable peace in the next ten years and beyond. The best way to fight against terrorism in Africa is to build effective and organized States with accountable political leadership and to create spaces for citizen-led debate to spark the formulation of relevant public policies. African countries should do everything possible to avoid following the path of most countries of the Middle East at war or in a permanent state of insecurity with no end in sight. Leaders should keep their heads level despite the legitimate emotional response and the sensational media coverage caused by recent events in Paris and Bamako. We should be aware that in African countries one could die needlessly in so many ways other than a terrorist attack. Finally, we should know that the best way to fight against terrorism in Africa is to build effective and organized States with accountable political leadership and to create spaces for citizen-led debate to spark the formulation of relevant public policies. CRÉDITS PHOTO: HABIBOU KOUYATE / AFP – Soldats maliens patrouillant l’hôtel Radisson Blu, victime d’une attaque terroriste vendredi 20 novembre qui causa la mort de 22 personnes. 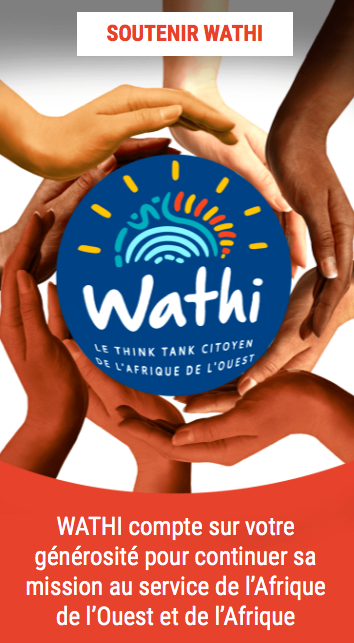 Economist and political analyst, a former Director of the West Africa project of the International Crisis Group, Gilles Olakounlé Yabi is the founder of Wathi, the citizen think tank for West Africa.